Niki Fulton’s Miami Signal Tie is designed to bring energy and movement to the classic seaside stripe with a limited edition Miami inspired colour palette. 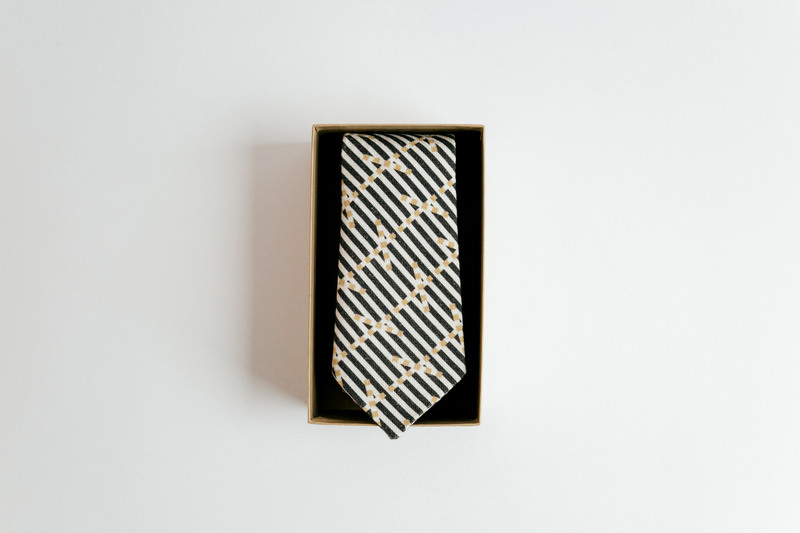 Printing on 100% Fife linen union gives the tie a contemporary twist – a popular material during the 1940s Swing era. Designed, printed and stitched in Edinburgh.